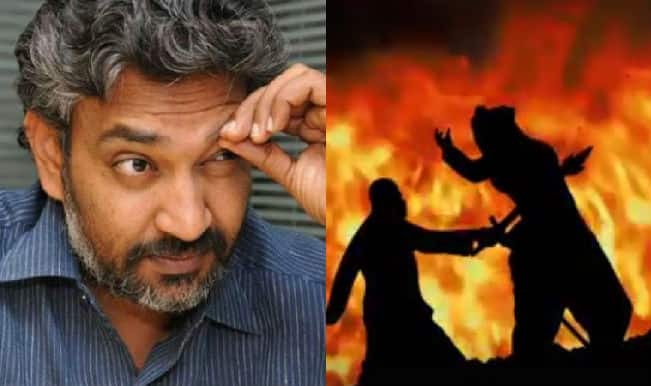 The answer to the biggest question of the year 2015 ‘Why Did Kattappa Kill Bahubali’ in the movie Baahubali: The Beginning has been finally given by none other than its director SS Rajamouli. Ever since the magnum opus epic periodic drama starring Prabhas in lead hit theaters, this particular question has taken the social media by storm. But now the reason behind Bahubali’s killing at the hands of Kattappa (Sathyaraj) comes from the horse’s mouth. In a video interview given to TV5 News, Rajamouli tells why Kattappa killed Bahubali! There has been several memes and jokes regarding the plot of blockbuster Bahubali that ended with loyal army chief Kattappa played by veteran actor Sathyaraj killing Bahubali played by Prabhas. But none could definitely beat the epic reply by the director SS Rajamouli who trolled everyone asking this question. After few seconds, Rajamouli concluded the second half of the answer by saying, “It’s simple! Kattappa is more loyal to Me (Director) than Bhallaladeva and Sivagami. If I order, He would kill ‘Baahubali”. Well, we can only admire the witty side of the director of such a fantastic movie and desperately wait for the second part of Bahubali, Bahubali: The Conclusion.